Toddlers and Nursery students of MRIS -51, Gurugram who stand proud of their learning and achievement throughout the year, celebrated the occasion with great gusto through finale presentation marking the end of the academic session 2018-19. The presentation for Toddlers ‘This Is Me’ was a blend of all themes done in the class. 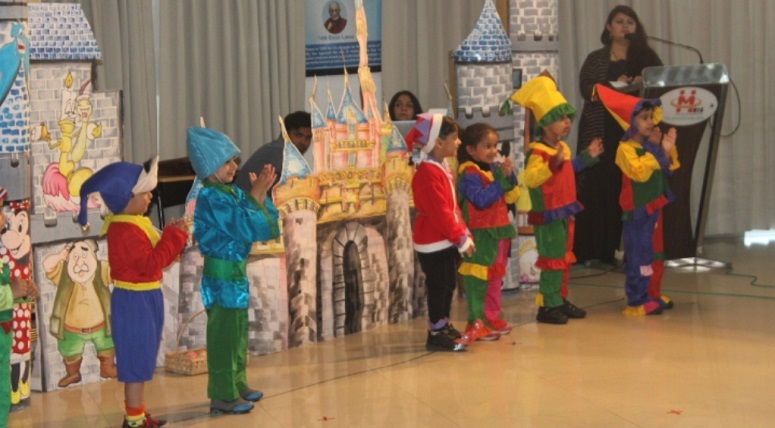 Nursery’s ‘One World Many Stories’ was an amalgamation of famous stories read during the session. Seven Dwarfs, Rapunzel, The Jungle Book, Alladin and ball dance were the highlights of the assembly. The performance was encouraged and appreciated by the never-ending claps of parents and teachers. The school principal Ms. Pooja Puri solemnized the occasion and congratulated the proud parents and the students. ‘Appreciation of Progress’ cards were also given to the parents. We wish them a good luck as they kick start their next adventure with new learning, new experiences and many new stories.